Birmingham City Schools in Birmingham, AL, is adding Harris School Solutions’ (HSS) eSchoolPayments software to solve their payment processing needs. eSchoolPayments is the secure fee collection and accounting software that enables school districts to collect payments for student activities and events. Prior to adding eSchoolPayments, the AL school district was manually collecting and handling receipts for money from parents. With this convenient payment processing software, though, Birmingham City Schools will be able to process fees and generate/send receipts, all electronically, providing parents with an easier and more secure way to make payments. Since the school uses NextGen software for their central office budgeting and payroll, they also will experience a new level of convenience by integrating eSchoolPayments with their NextGen solution. 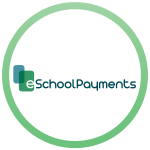 Click below to find out how eSchoolPayments can add convenience to your school!